Stop and Smell (and Eat) the Roses on Sunday July 17 – It’s Flower Day at the California State Fair! 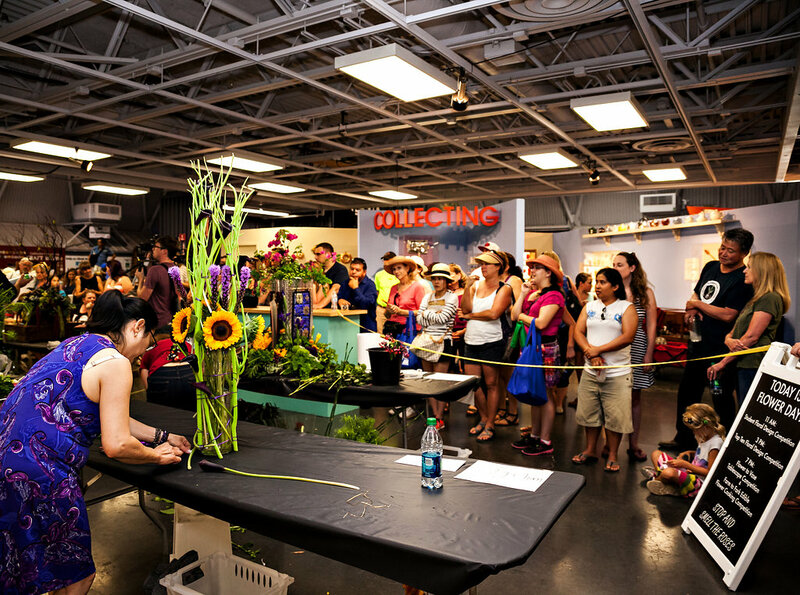 Floral design competitions, a children’s floral showcase and an edible flower chef showdown are all part of the fun of Flower Day at the California State Fair on Sunday, July 17. The California State Floral Association (CSFA) is proud to announce that for the second year the California State Fair has declared Flower Day on Sunday, July 17! “All of the flowers that will be on exhibit in the CA GROWN Floral Shop are being grown right now in California at one of more than 250 flower farms from San Diego to the Oregon border”, said CSFA board member Marty Espe. The CA GROWN Floral Shop will be open throughout the run of the State Fair featuring floral designers in action. Designers will be doing hands-on demonstrations with the help of local FFA students and answering questions about flowers and floral design. “We’re lucky to have so many talented floral designers volunteering their skills and creativity throughout the run of the Fair and on Flower Day, which will be a wonderful opportunity to see floral design first-hand” said Espe. The CA GROWN Floral Shop is located in County Building B near the Farm at Cal Expo. 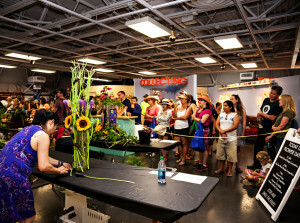 Fair-goers can enjoy the flower show on Flower Day as floral designers, students and chefs bring fresh CA GROWN floral creations to life in front of the demonstration kitchen next to the Floral Shop. Students and professional floral designers will compete in qualifying competitions during the day, look for beautifully crafted floral arrangement that will be on display throughout County Building B. In partnership with California Foundation for Agriculture in the Classroom, Flower Day will feature a children’s floral design showcase at 1 PM. If your child is interested in participating in the Children’s Floral Design Showcase, stop by the CA GROWN Floral Shop to sign up in the morning. In the evening, three local chefs will compete in a Farm-to-Fork Edible Flower Cooking Competition, each chef will create a dish highlighting an edible flower. Tablescapes incorporating each chefs’ edible flower will be on display during the edible flower cooking competition and best tablescape will be decided by the audience. Join the flower fun and embrace the beauty of the day while cheering on your favorites! 11 AM – 1 PM Student Floral Design Competition: Student designers will compete in a Surprise Package & Designer’s Theme Composition using CA GROWN flowers. 1 -2 PM – Children’s Floral Design Showcase: Elementary school students will design and create their own CA GROWN floral arrangements. 3 – 4:30 PM – Top Ten Floral Design Competition: Skilled floral designers will compete in a Surprise Package & Designer’s Theme Composition using CA GROWN flowers. 6 – 7:30 PM – Farm to Fork Edible Flower Cooking Competition: Three local chefs will prepare dishes highlighting edible flowers. 6 – 7:30 PM – Flower to Vase Tablescape Competition: Floral designers will create tablescapes incorporating each chef’s edible flower. Designs on display throughout cooking competition, the winner will be voted on by the audience at 7:15.